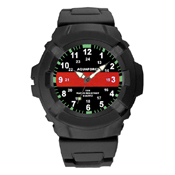 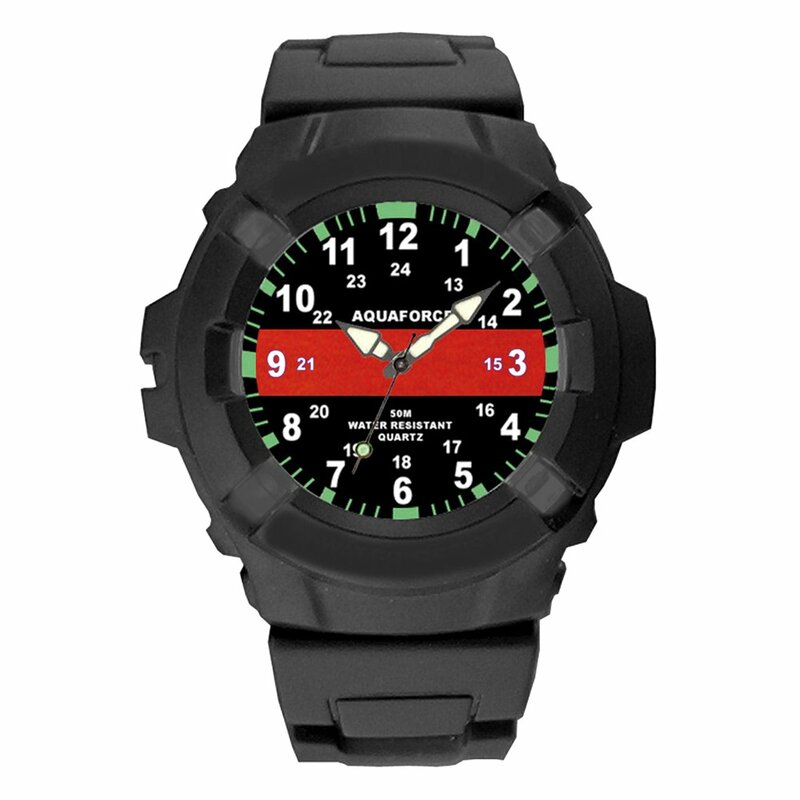 Aquaforce Thin Red Line Watch features a "Thin Red Line" across the face of the watch; which is a symbol of respect and camaraderie for firefighters. 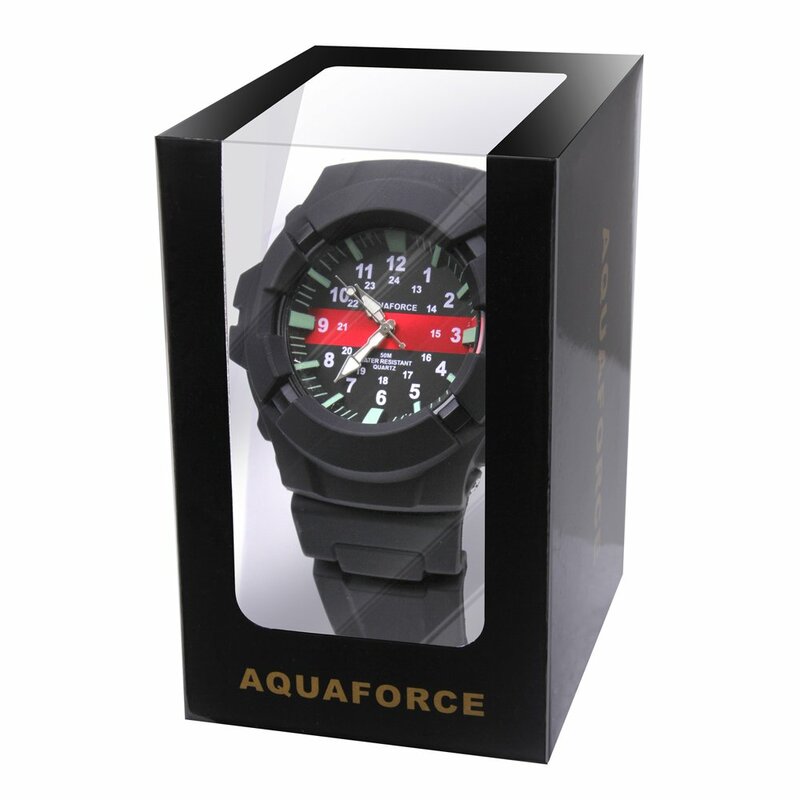 The wristwatch features luminous hour markers for seeing in low light, rubber adjustable wrist strap for comfort, and Japanese quartz movement for accurate time. Aquaforce's Thin Red Line Watch is also water resistant up to 50 meters.